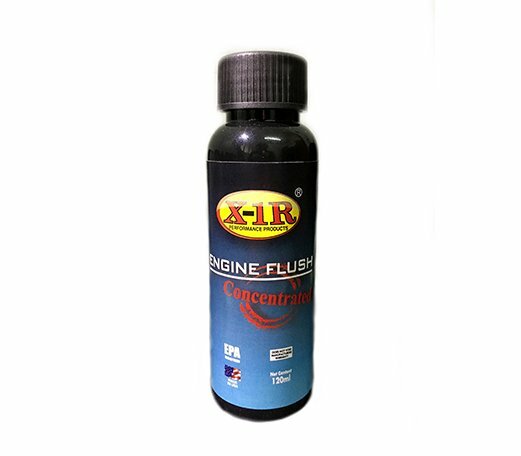 X-1R Engine Flush is speciﬁcally formulated with controlled-released detergents that clean your engine without the need for solvents. Over the years as your vehicle accumulates miles it is also accumulating harmful deposits that will eventually cost you money. Even though you routinely service your vehicle sludge, gum, varnish, grit and many other unwanted items will be in your engine. These deposits slowly clog oils passaged and restrict the oil flow particularly in the valve train area.Unwanted deposits in your engine lead to increased wear and tear and increased fuel consumption. These deposits will remain in your engine even after your normal oil change, gradually building and ultimately harming your engine. 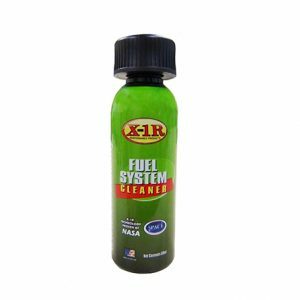 X-1R Engine Flush is specifically formulated with controlled-released detergents that clean your engine without the need for solvents. 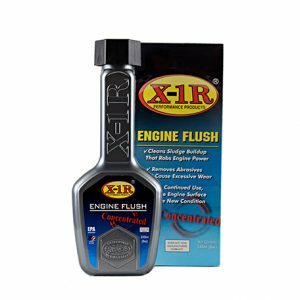 Regular use of X-1R Engine Flush will help keep your vehicle in tip-top condition. 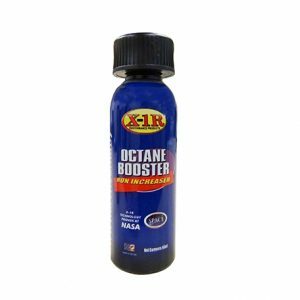 X-1R Engine Flush is designed for safe use in all vehicle, all you need to do is to pour it into your engine oil and then follow the directions below and immediately the controlled action detergents start to melt the harmful deposits away. You will notice straight away an improvement in the efficiency of your vehicle. 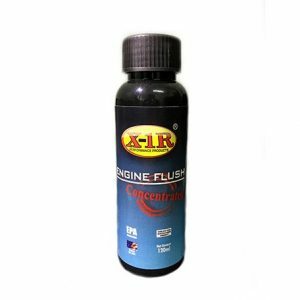 On top of this X-1R Engine Flush contains no solvents is non-toxic, non-flammable and proven to be environmentally friendly. Pour the contents of one bottle into the crank case when the engine is hot. Allow the engine to run for up to fifteen minutes and then drain your oil, for particularly dirty engines we also advise removing the sump cover to ensure that there is not an accumulation of sludge. Replace oil and enjoy your driving. 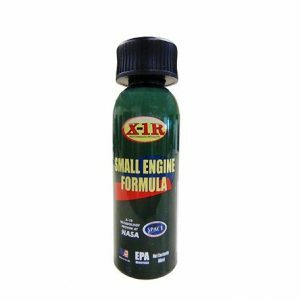 As a preventative measure to guard against sludge accumulation in your engine, we recommend you use X1R Engine flush BEFORE every oil change. Designed as a maintenance product where engine is first flushed with 240ml product and then at every service following the smaller unit is used. WHAT IS X-1R ENGINE TREATMENT? X-1R Engine Treatment is a liquid synthetic metal conditioner that reduces friction and wear in your engine. X-1R is non-hazardous, non-flammable and environmentally-friendly. WHY IS X-1R ENGINE TREATMENT SUPERIOR TO P.T.F.E.-BASED LUBRICANTS? X-1R engine Treatment is free of any particulates and is non-clogging. It does not modify the viscosity characteristics of the host oil. It treats the metal surface at the molecular level and reduces surface roughness and increases surface hardness. X-1R can withstand temperatures greater than 500°F/260°C without breaking down. Most P.T.F.E.-based lubricants claim they last 50,000 miles, this claim is a marketing gimmick. There is no evidence to support this outlandish claim. From an engineering point-of-view, the claim is completely groundless. 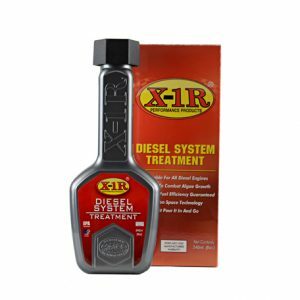 IS X-1R ENGINE TREATMENT COMPATIBLE WITH ALL ENGINE OILS? Yes, X-1R Engine Treatment is compatible with all other lubricants and additives both synthetic and mineral based. The X-1R Corporation cannot control or guarantee the condition or service of vehicles prior to using X-1R. The X-1R Corporation can guarantee that X-1R protects and out-performs any other friction reducing additive on the market. With proper maintenance of equipment and the use of the X-1R additives, equipment life will always be extended. 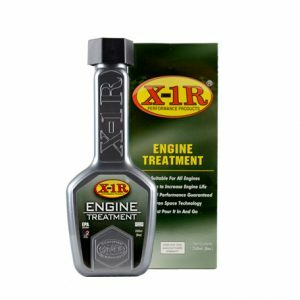 WHY DO I NEED TO USE X-1R ENGINE TREATMENT? It is a fact that all oils, synthetic and mineral based deteriorate over time, producing sludge and harvesting other harmful contaminants which reduce the performance of your engine. X-1R additives are scientifically proven to treat the metal not the oil. 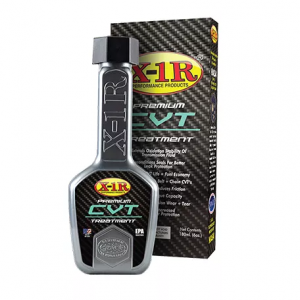 X-1R Proven space technology is formulated to improve performance, increase engine life, fuel mileage while protecting your engine from harmful dirt, carbon deposits and sludge caused by synthetic and mineral, molybdenum (moly), PTFE (Teflon) based oil blends. WILL USING X-1R ENGINE TREATMENT VOID MY WARRANTY? No. X-1R is not listed on any void list from any manufacturer. Every manufacturer recommends a specific grade of lubricant for use in their vehicles or equipment; this grade classification is known as an A.P.I. rating (American Petroleum Institute). Lubricants have a certain performance limitation. The important thing to remember is the manufacturer is not concerned with the brand of lubricant you use as long as it has the proper A.P.I. rating recommended by the manufacturer. As long as the consumer is using the proper A.P.I. rated fluid, the warranties will not be voided by adding X-1R. X-1R is compatible with all A.P.I. – rated fluids. 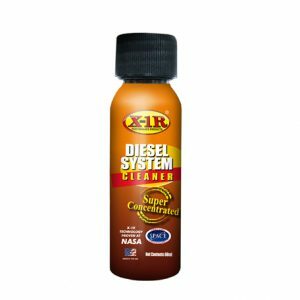 CAN I USE X-1R IN ALL OF MY VEHICLES? 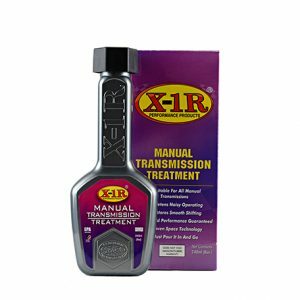 CAN I USE X-1R ENGINE TREATMENT IN MY BRAKE SYSTEM? No, X-1R Engine Treatment is not a hydraulic fluid and is not designed to be used in any braking systems. 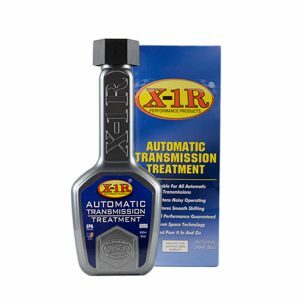 HOW DO I USE X-1R ENGINE TREATMENT? 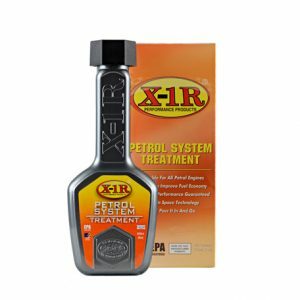 X-1R Engine Treatment is specifically formulated and designed for use in all average size cars, RV’s, 4WD, high cc motorbikes and light trucks. For optimum performance add one bottle, 240ml of Engine Treatment up to 5 litres of oil capacity when you service your engine. For engines with higher oil capacities we recommend you use X-1R Engine Treatment at 5% to volume of oil. TO WHAT STANDARDS DOES X-1R CONFORM? X-1R conforms to ASTM test procedures for fuel economy, compatibility and co-efficiency of friction standards.